As a native Virginian himself, Tim Beasley takes pride in his appearances as President George Washington, a Virginian who was the greatest American icon and heroic patriotic figure, indeed, the "father of our country." George Washington being the first President of the United States of America and Virginia born leader of the American Revolution is a perfect figure for special occasions and “Red , White and Blue" celebrations, motivational and historic speaking engagements. It’s “Hail to the Chief” and “Star Spangled Banner” time when “Washington” makes his address. 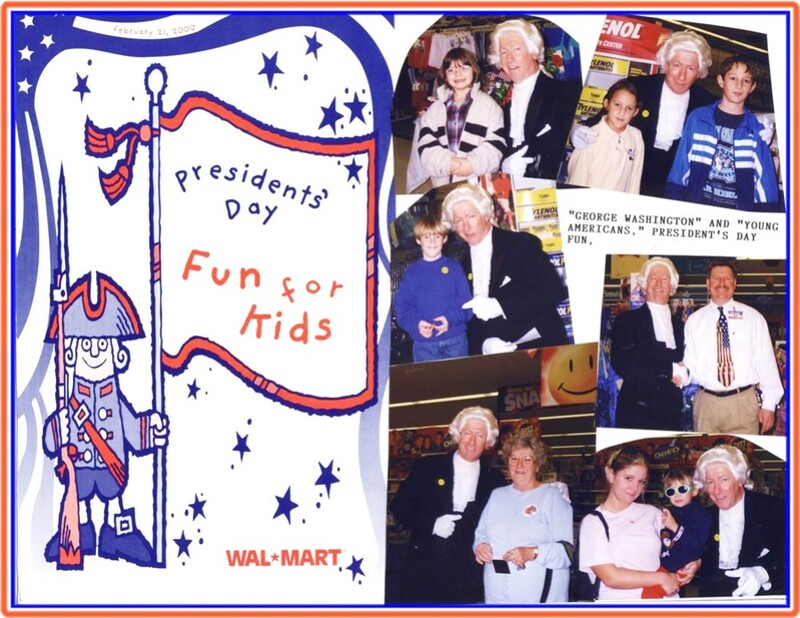 Recently, Tim as ‘Washington" has entertained and greeted shoppers and dignitaries at a variety of public events, such as President’s Day celebrations at military bases, and also sales promotions for Wal-Mart and others. 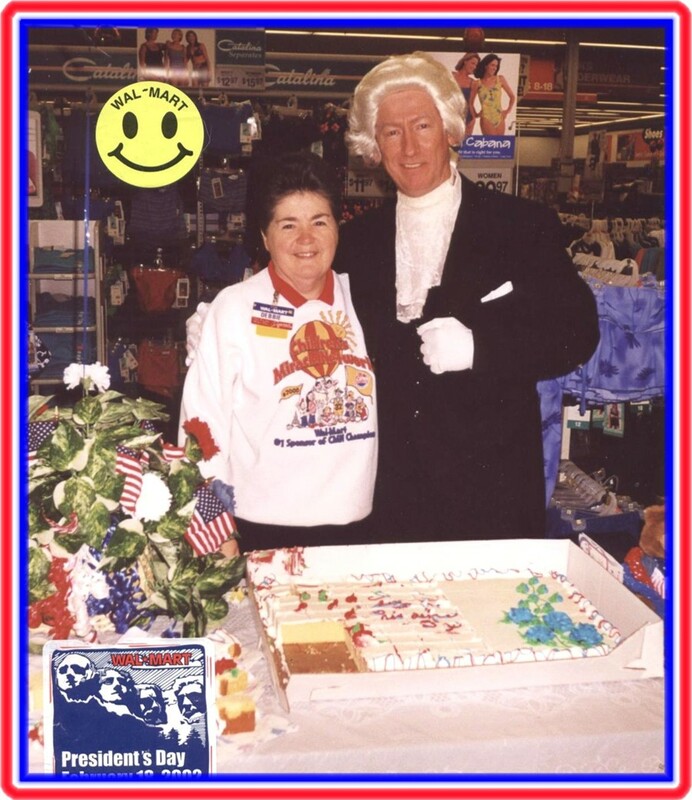 Appearances include national special events for Wal-Mart, Army Airforce Federal Exchange Service and MWR. Licensed and Insured since 1986, celebrating 30 years of entertaining!! !